Chicago’s first dedicated rotorcraft landing area–Vertiport Chicago–officially opened April 30 on the city’s Near West Side. Nearly a decade in the making, Vertiport Chicago represents the first viable alternative for helicopters to Midway or O’Hare airports since Meigs Field was bulldozed in 2003. 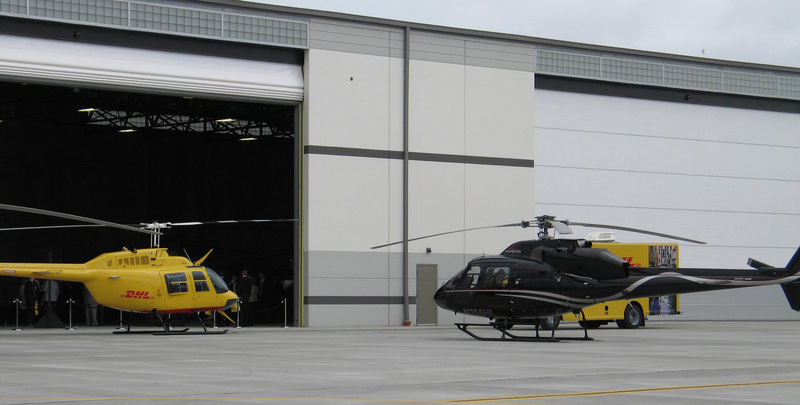 The private facility offers a landing area for corporate helicopters, executive charters, sightseeing, emergency medical response traffic and police and fire department aircraft. Vertiport Chicago sits at the southern edge of the Illinois Medical District, home to four major area hospitals within a five-minute drive. EMS helicopters will always receive operational priority at the new facility. In fact, the property is leased from the Illinois Medical District, a group that will share in a percentage of the revenue the facility collects. The new landing area is also a 10-minute drive to Chicago’s downtown and a 10- to 15-minute flight from Chicagoland’s reliever airports, DuPage, Chicago Executive, Gary, Aurora and Waukegan. The Vertiport’s 10-acre layout provides an 11,700-sq-ft terminal with VIP entrance and private amenities for corporate users, as well as a 30,000-sq-ft hangar with 25-foot-high doors. Fuel is also available. Vertiport Chicago offers a single landing pad with eight parking spots. The facility cost approximately $11 million, all gathered through private financing. The Vertiport is the brainchild of president Mike Conklin, a former Marine One helicopter pilot who is now the president of the company. He had the idea for the project in 2006 when there were far more helicopters in the area than there are today. His initial research showed 88 helicopters registered within approximately 50 miles of Chicago. Today that number hovers closer to 25. The hope, of course, is that the near-downtown landing area will stimulate rotorcraft operations in the area. Conklin also hopes the facility will also one day be home to tiltrotors as well. Vertiport Chicago is neatly sandwiched between O’Hare’s airspace to the north and Midway’s on the south, which means access in visual conditions doesn’t require any ATC contact if pilots remain below 1,900 feet. To maintain a high level of safety, the Vertiport requires users to prove they have at least 1,000 hours of flight time. The Vertiport opened with one anchor customer already in place, DHL, making Chicago the fourth major city where the document carrier operates helicopters. New York, Los Angles and London are the others. DHL regional manager Karsten Aufgebauer told the opening-day audience that using the Vertiport means avoiding increasingly dense road traffic at most hours of the business day, a move he believes will reduce document transportation time from O’Hare International airport to downtown to 12 minutes from the current two hours. Conklin expects the number of daily operations from DHL to grow significantly over the next five years. Details about landing procedures and rates are available via e-mail or at vertiportchicago.com. At press time, the FAA had not yet assigned a location identifier for the facility.